Here's a gift for the birthday girl. 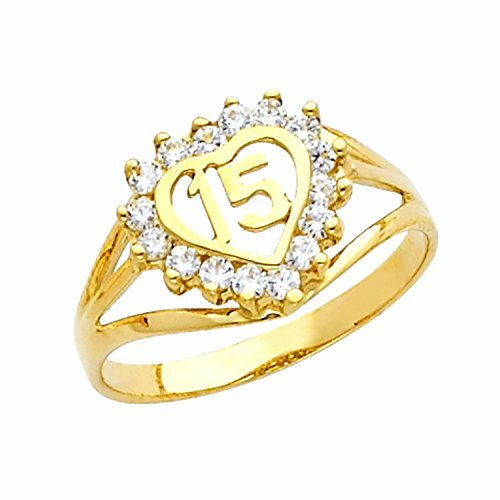 This stunning ring 15 anos comes in your choice of 14k gold. Given a polish finish for long-lasting sheen, this handmade gold birthday ring will be the hit of the party!